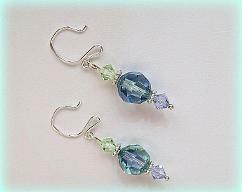 Spring Bride Sparkle Swarovski and Sterling Earrings are just the right amount of sparkle for that special day. 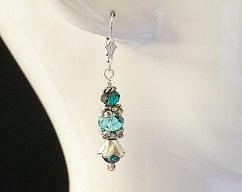 The Swarovski and Sterling Earrings are also perfect for any member of the wedding party. Dangling from the sparkling 5mm Cubic Ziconia Sterling Silver Post Earrings are lengths of Sterling Silver Diamond Cut Rollo Chain. The CZ ear posts are Anti-Tarnish treated. From the end of each length of Sterling chain hangs Sterling Silver Stardust beads, Silver Plated Daisy spacer beads along with 3mm Swarovski Bicone crystals. All findings are Sterling Silver and Silver-plated. These Spring Bride Earrings measure 2 1/4" of beautiful sparkle and are measured from the top of the CZ ear post. 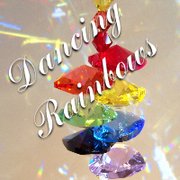 Earrings - "Burgundy and Blue"